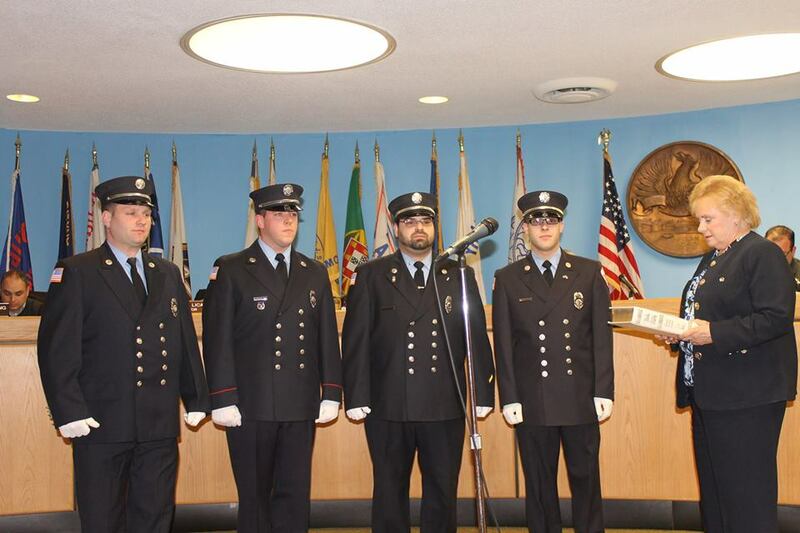 On Tuesday, February 18th, the officers of the Lodi Fire Department attended the monthly Mayor & Council meeting at which they were sworn in to their respective positions. 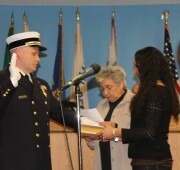 Chief Keith Bruining was sworn in by Mayor Marc Schrieks. 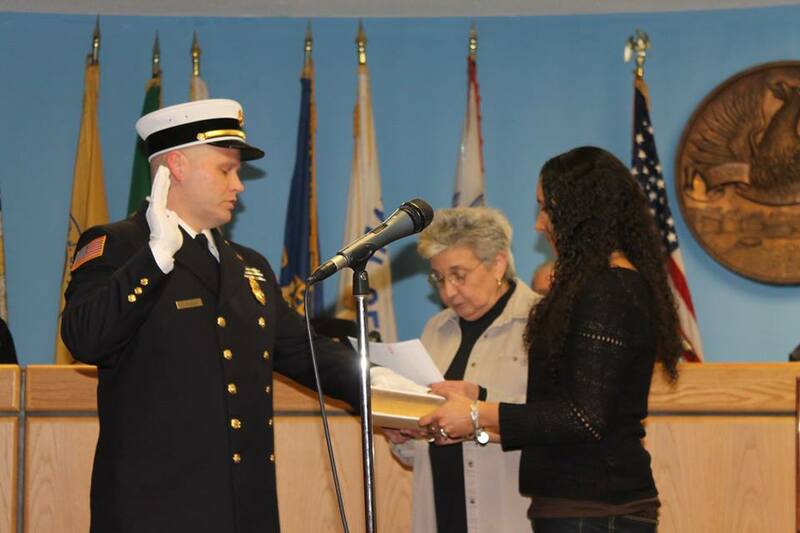 Third Assistant Chief John Funk was sworn in by Councilwoman Paula Fiduccia. 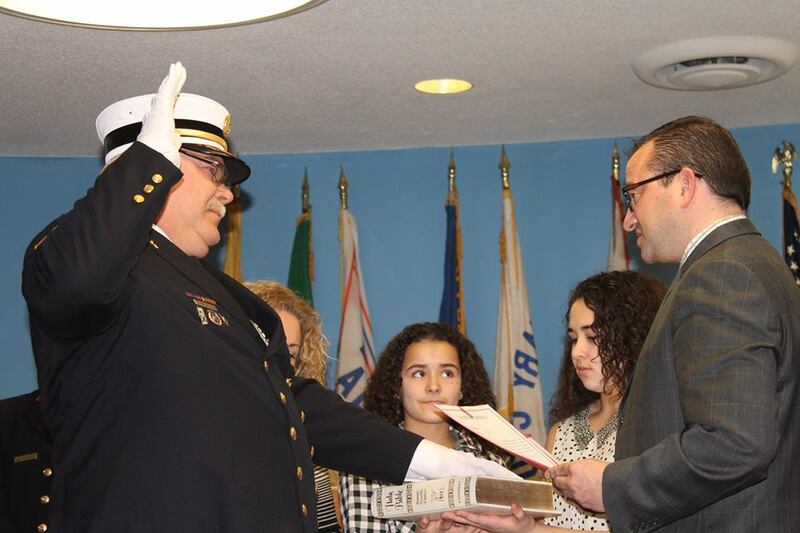 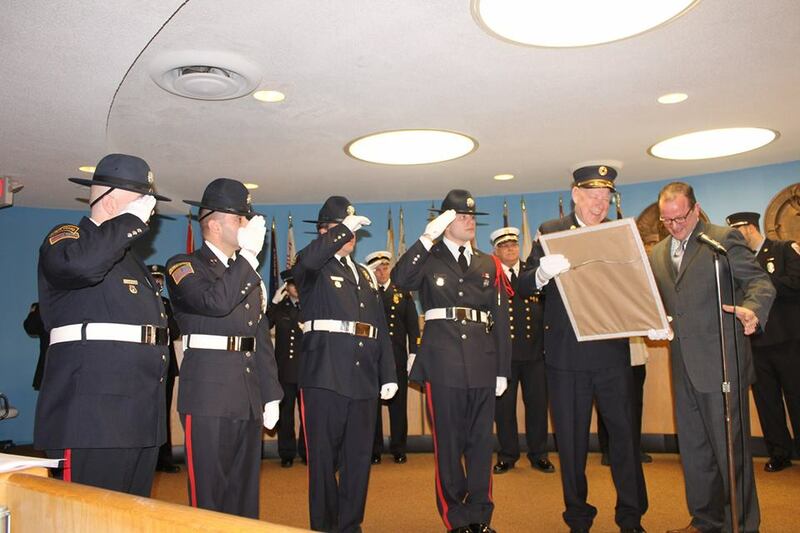 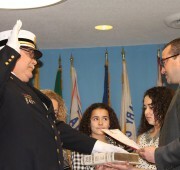 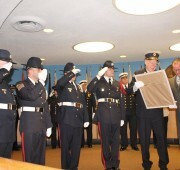 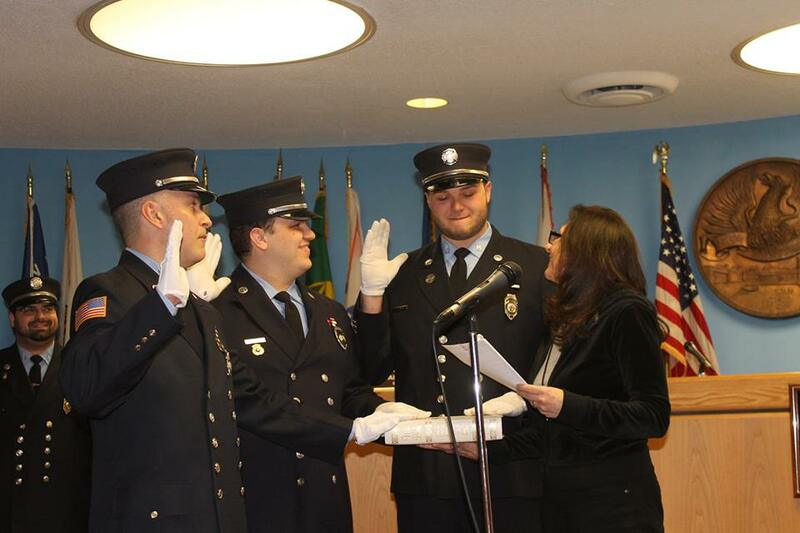 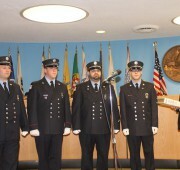 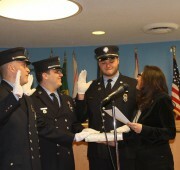 The Captains were sworn in by Deputy Mayor Patricia Licata and the Lieutenants were sworn in by Councilwoman Laura Cima. 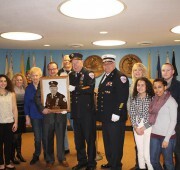 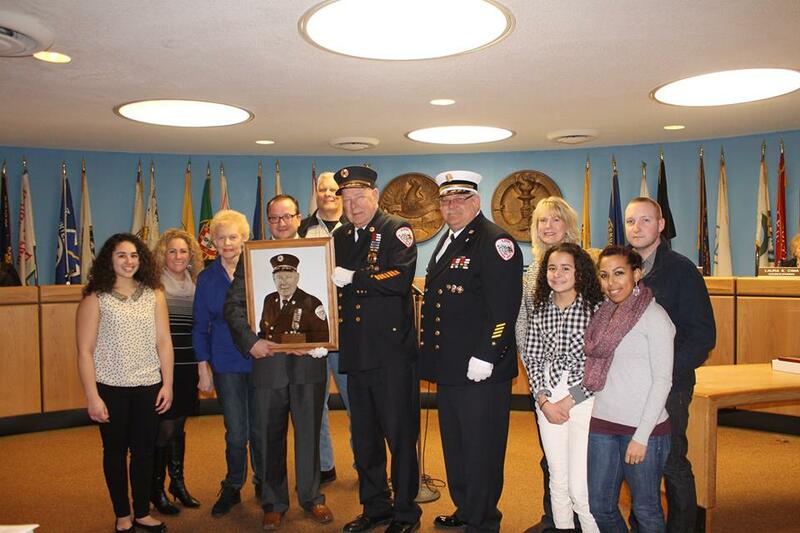 Also that evening, the Mayor & Council presented Ex-Chief Ebe Bruining, father of Chief Keith Bruining, with his 50 Years of Service picture that will hang on display in Borough Hall for all to see.